Perfect as a hostess gift or to share at your own celebration. 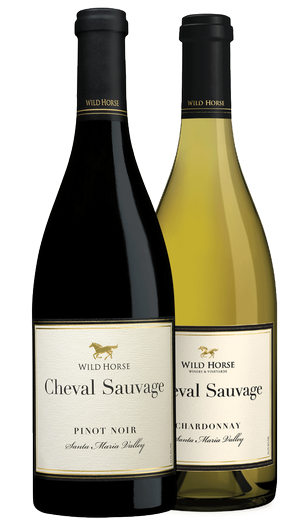 Includes one bottle each of Wild Horse's Cheval Sauvage Pinot Noir and Cheval Sauvage Chardonnay. 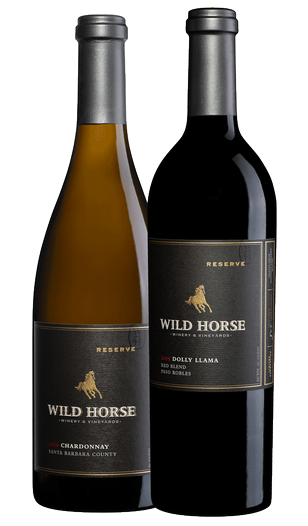 Two of our most-popular Reserve wines: Dolly Llama Red Blend and Santa Barbara Chardonnay. Perfect for gifting or entertaining. 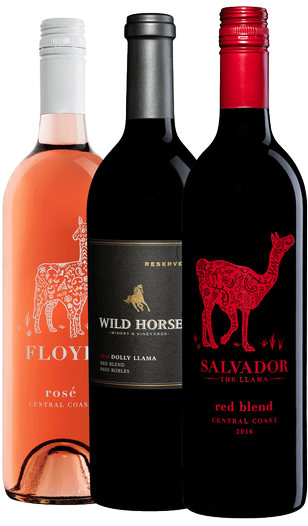 Three wines made in honor of our llamas: Floyd Rosé, Dolly Llama Red Blend, and Salvador Red Blend. 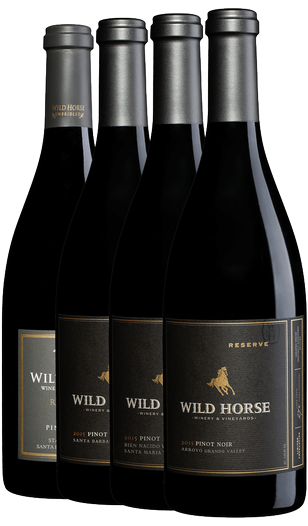 Four of our best Reserve Pinot Noirs from Bien Nacido, Arroyo Grande, Santa Rita and Santa Barbara. 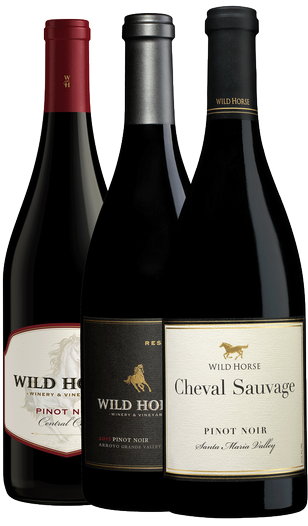 Three of Wild Horse's most loved Pinot Noirs: Central Coast, Arroyo Grande Valley, and Cheval Sauvage. Just in time for the Holidays! 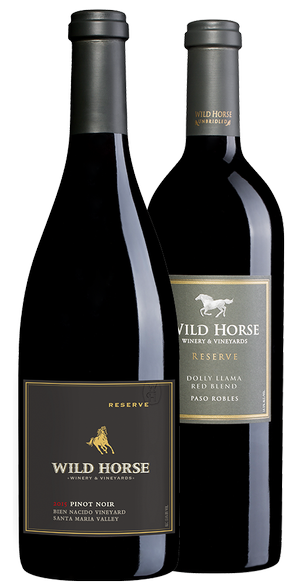 Our Reserve Dolly Llama Red Blend and Reserve Bien Nacido Vineyard Pinot Noir. Two go-to wines ready for gifting or entertaining: Central Coast Cabernet Sauvignon and Chardonnay. 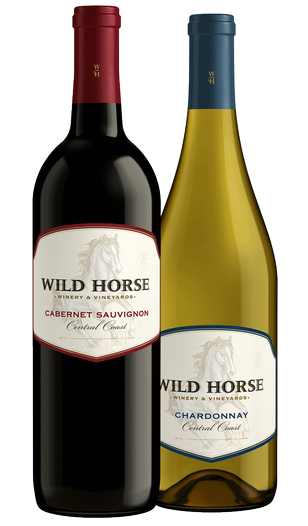 Start your holiday celebrations off right with Wild Horse's Holiday Favorites! 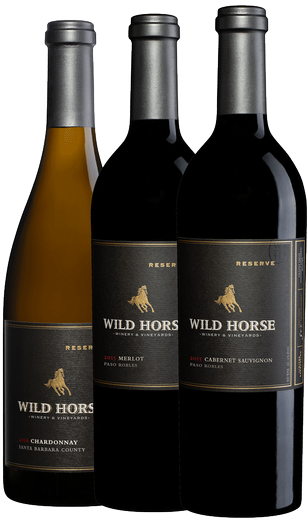 One bottle of each Reserve Merlot, Cabernet Sauvignon, and Chardonnay.